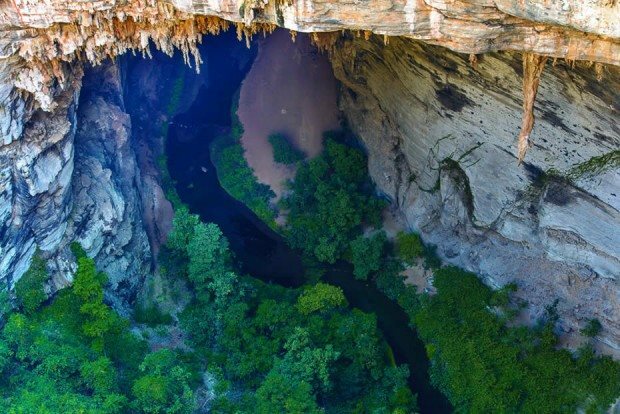 There are already official lists of the world's longest and deepest caves, deepest shafts and largest underground chambers. To my knowledge no one else maintains a list of the world's largest cave formations, so I am attempting to do that here on this page of The Virtual Cave. 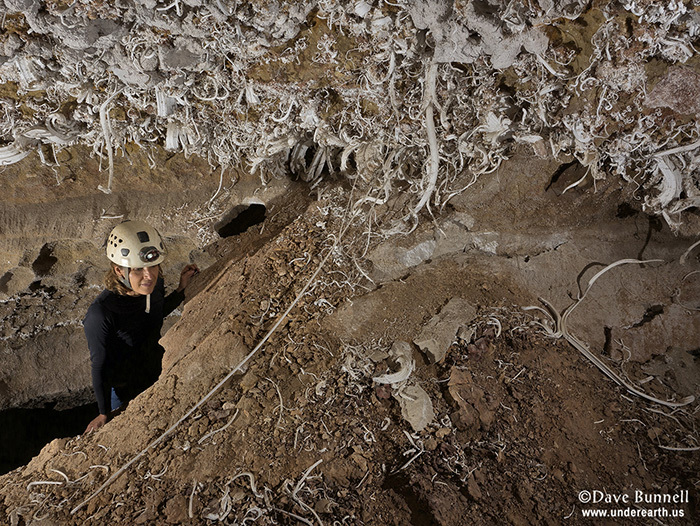 These records are based on reading of speleological literature and correspondence with cavers around the world, and are accurate to the best of my knowledge. 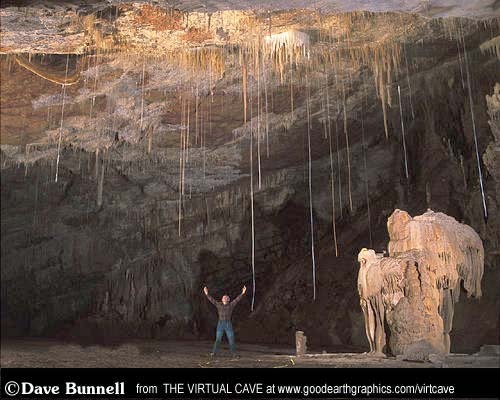 But all records are made to be broken, so if you have information on large speleothems that deserve to be here, please contact me. (1) Wadi Sannur is a rare type of cave formed by roofing over of a giant surface gour at its spillover point. The gour was formed by a large thermal spring. 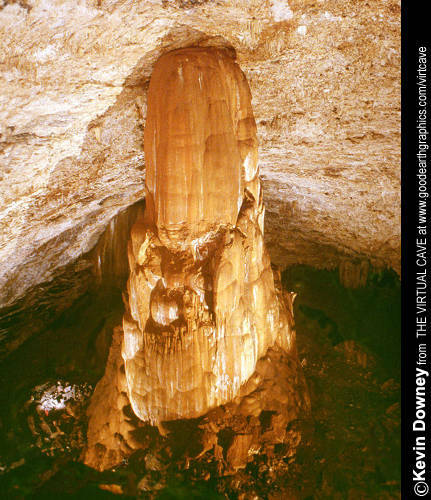 The world's second tallest stalagmite, 67.2 meters high, in a cave in Cuba. Note the caver in red on the left side of the formation. 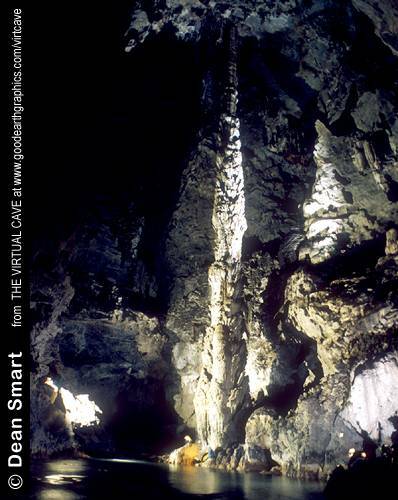 This is still the world's largest unitary stalagmite. 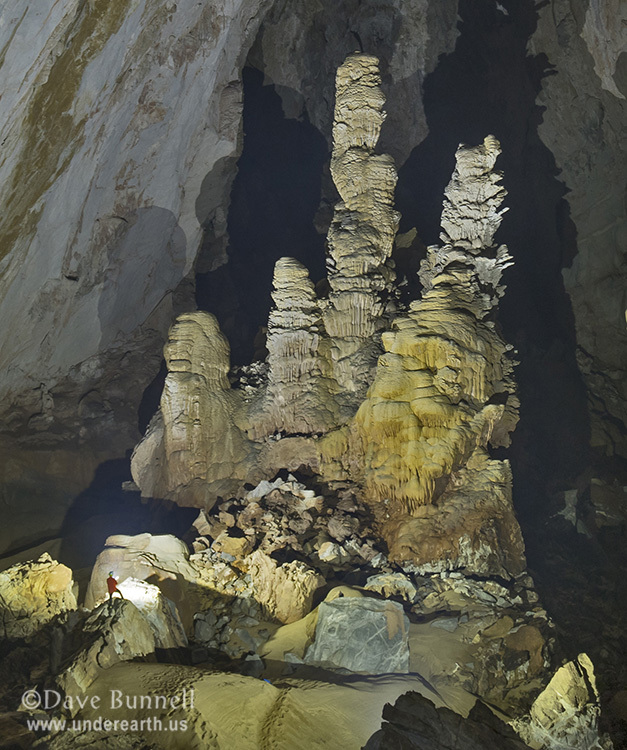 The world's tallest stalagmite in Hang Son Doon, Vietnam, at 70 meters in height. On the far side the mass extends down much lower, so it is even taller than it appears if you count the height of the shared base of the cluster. The world's largest column, 61.5m high, in Tham Sao Hin, Thailand. 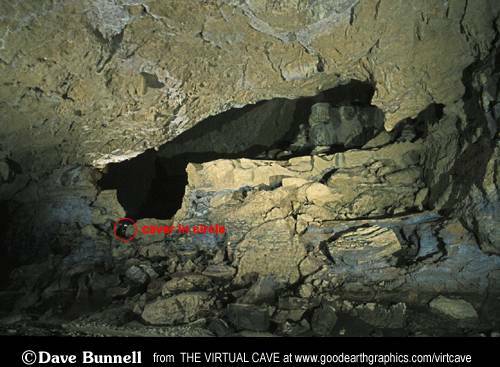 For scale, note a caver at the base of the column in blue jacket, another sitting in the foreground, and another high on the slope to the right of the column. A chamber with several the world's longest soda straws in one grouping. The tops of the straws extend above the visible roof line. Two of those in the foreground measure over 8 meters long. One of those partially hidden behind the stalagmite measures over 9 meters. This may be the world's tallest rimstone dam or gour. 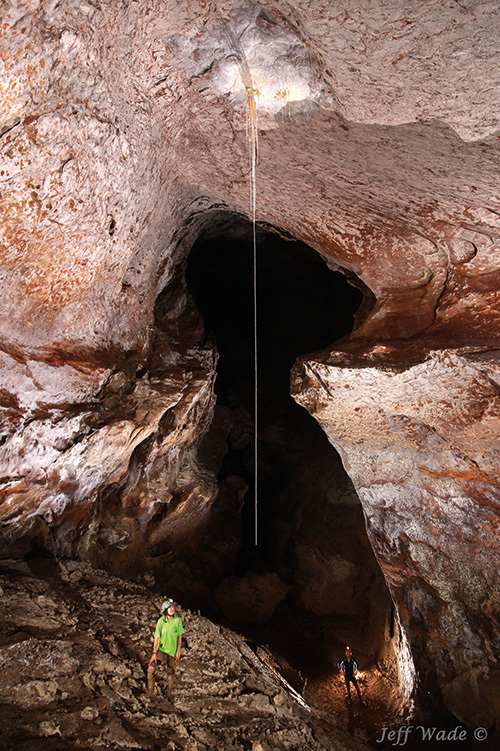 A caver is standing in a notch in the dam, in the red circle. The dam is roughly 22 meters high. 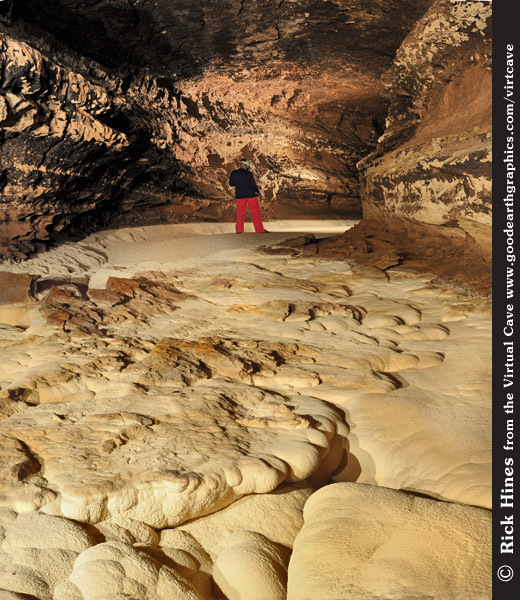 The world's longest continuous cave formation is in the Snowy River of Fort Stanton Cave, New Mexico, and is a coating of white calcite crystals that lines that bed of the streamway. The stream is active in parts of the year and dries up seasonally, adding to the deposit. Currently Snowy River has been surveyed and explored to over 10 miles in length with no end in sight. Photo courtesy of the PERUAÇU UNESCO page on Facebook. The longest single petal of a gypsum flower, just under 2 meters in length. It was able to grow this long in part because it is supported on a sediment slope. Many other large flower petals littering the slope broke under their own weight. It's formed in a very dry cave in Arizona.